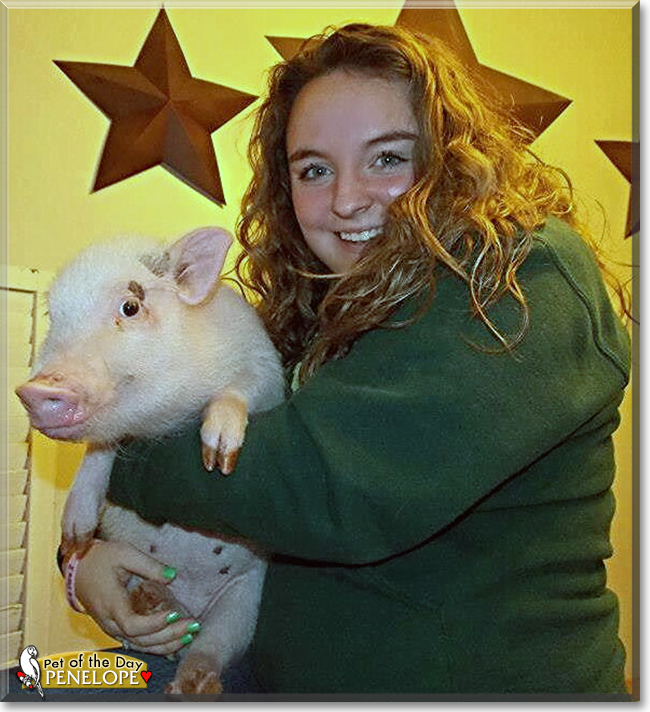 "Penelope the Pot-bellied Pig, the Pet of the Day - December 03, 2015"
My pig is my best friend and when she was a piglet she would snuggle with me at night. She was also litter boxed trained the first day I got her. That is faster than any other kind of pet I know of - and most people do not even know a pig can be box trained! Penelope is very smart and knows several tricks and is also an escape artist! 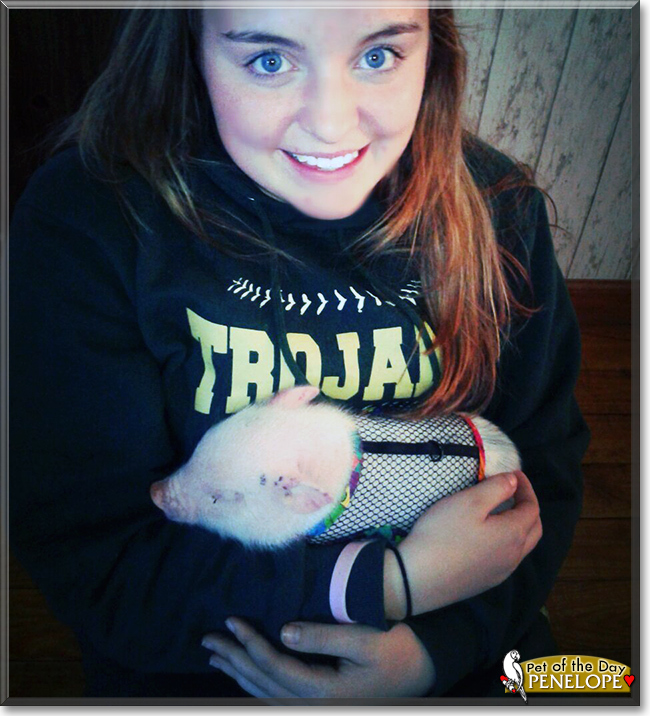 She is the best pet anyone could have and I recommend everyone to get a pig because they are the best pets! Just make sure they are allowed where you live, as not every place is as welcoming for them as they are for dogs and cats. Talk about Penelope in Pet Talk!